The Chevrolet and GMC Truck Direct Fit Onboard Air Systems were built for truck owners wanting a heavy-duty onboard air system for both work and play. 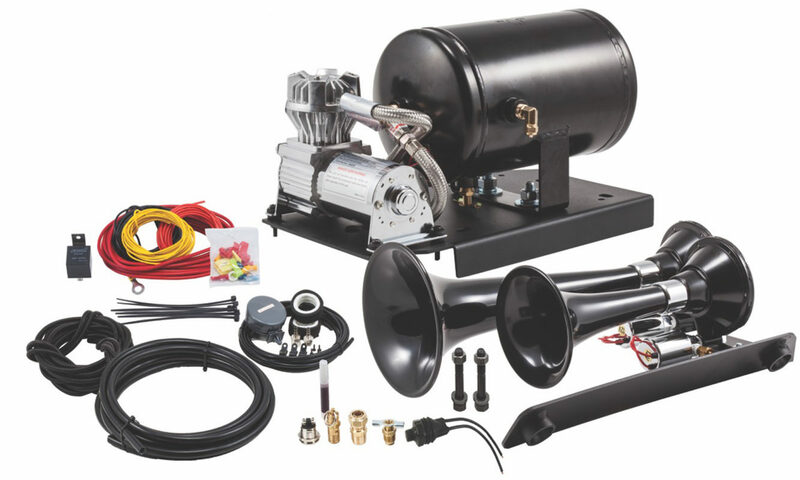 These 100% Duty-Cycle systems will supply air to inflate large off-road tires, power small air tools, air suspension and of course, honk your Kleinn Train Horn. These kits include one of two Kleinn exclusive heavy-duty 150 PSI WATERPROOF air compressors, a 3-gallon air tank and custom-designed powder coated mounting brackets. The GM 1500 and 2500/3500HD heavy duty kits are available with either the Model 730 “Demon™” or Model 230 “The Beast™” triple train horns or as a stand-alone Onboard Air System without the train horn. Onboard air only systems also include a panel mounted 160 PSI dash gauge with ON/OFF rocker switch. Kleinn offers two distinct options for the GM 1500 models when looking for a LOUD air horn for your full size truck or SUV. 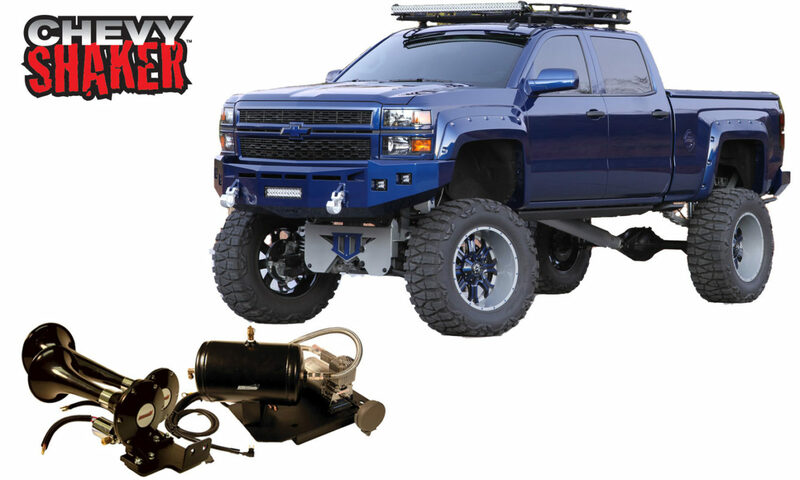 Choose from an Under Hood Train Horn Kit or our Heavy-Duty Onboard Air Systems. All these direct fit kits are 100% bolt-on and require no drilling, modification or cutting for a custom designed installation. If you’re looking for that shocking train horn sound on a budget or you don’t need a heavy-duty onboard air system these under hood kits are the ticket. The air compressor and tank mount in the spare battery tray under the hood with the Model 220 dual train horns mounted behind the front bumper. 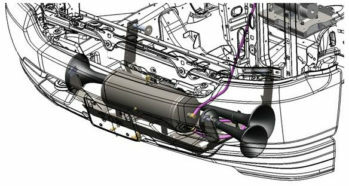 The air system can be used to power aftermarket air bags by using a pneumatic controller for the air bags.